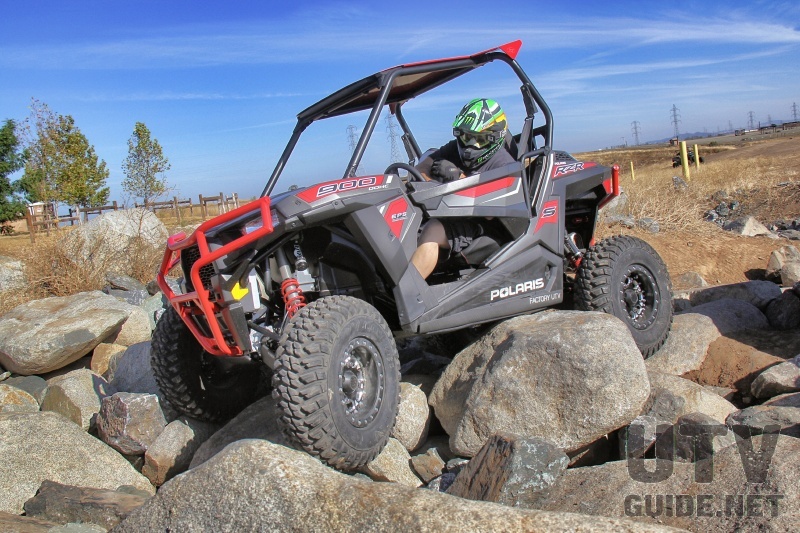 As a stock UTV, the Polaris RZR S 800 has always impressed us in the rocks. Heck we even got Jared Christie from Destination Polaris through the Rubicon in one without any issues, so there has to be some merit to it! 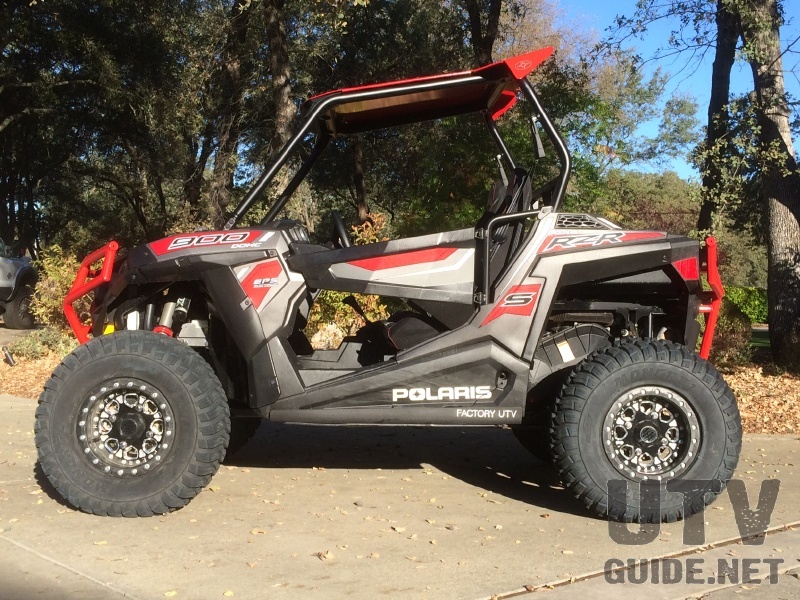 With the RZR S 800 being replaced by the 2015 Polaris RZR S 900 I was anxious to see how the upgraded RZR would do. I recently spent some time behind the wheel of the new RZR S at the Polaris media event in Utah and was quite impressed. 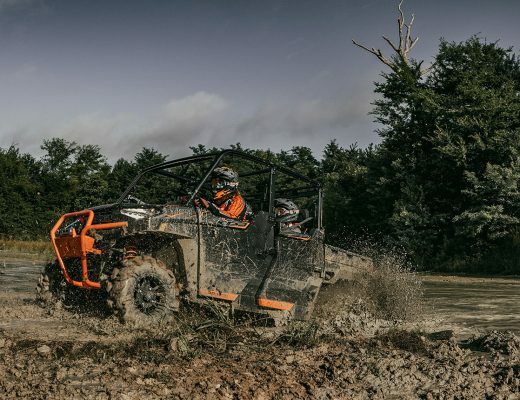 The RZR S 900 surpassed the RZR S 800 with more power, upgraded suspension and better ergonomics (see Polaris RZR S 900 Review for more detail). We did some minor rock crawling at the event and I was itching to get our demo unit home so we could test it out in some real rocks. First things first. I have to admit that I am not your ordinary enthusiast. I love to rock crawl on more challenging trails at places like Moab and the Rubicon and have raced King of the Hammers more times than I care to admit. So while the stock RZR S 900 would be perfectly fine for most users, I like to push the envelope a bit and see how far a unit can go for more extreme use. The first item on the agenda was to protect the RZR from damage. For that, I turned to Factory UTV for full underbody protection. 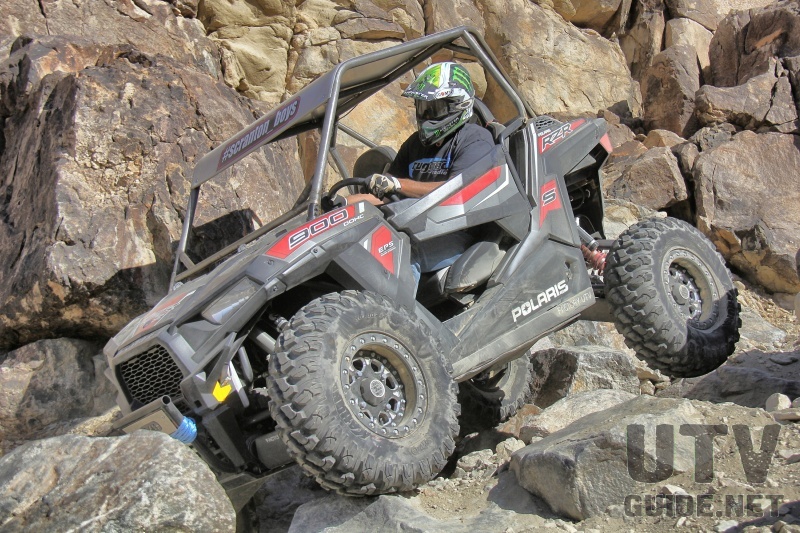 Factory UTV uses UHMW which translates to super strong and thick plastic like stuff that slides on the rocks, is super strong and has a memory. I went for the full skid plate which covers the entire underside, plus rock sliders under the rocker panel and a-arm guards all-around. With the underside protected, I wanted to get a little more height under the belly. The quickest way to accomplish this is larger tires. 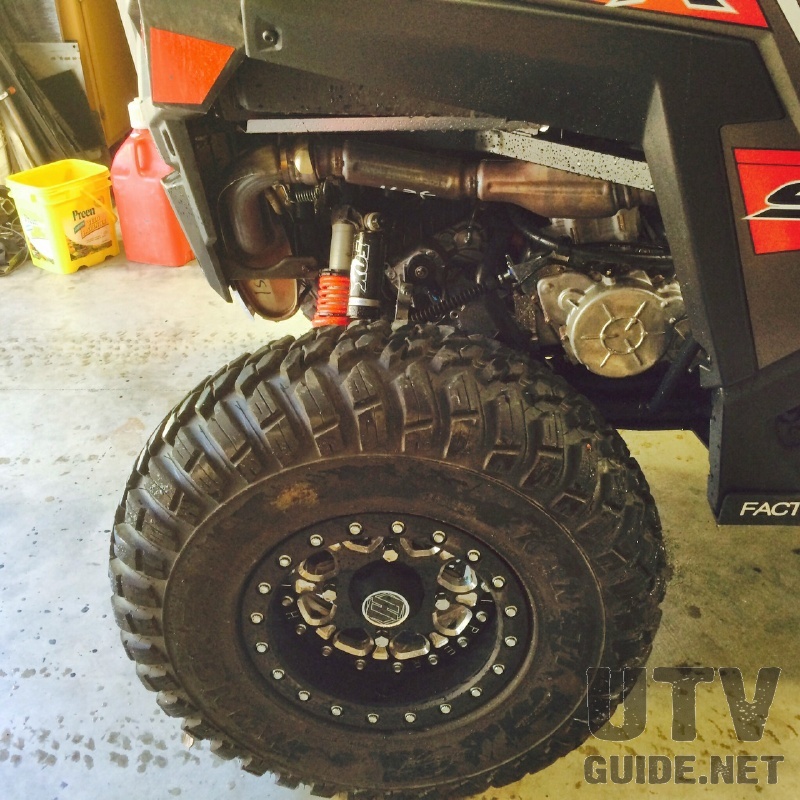 The RZR S 900 comes with 27 inch GBC Dirt Commander tires. This is a stout 8-ply tire that is bigger than the 26″ Maxxis Bighorns that came on the RZR S 800, but I wanted to get a set of 30 inch tires on the new RZR S.
I had been told at the media event that 28″ tires would fit for sure but anything larger would hit. Once I got home, I mounted up a set of 30″ GBC Mongrels that I had used on my RZR XP 1000 to see what I had to work with. Up front, I could see where the tire could hit the foot well at full turn when the tire was stuffed. And in the rear, it looked like the fender flare would be a problem. 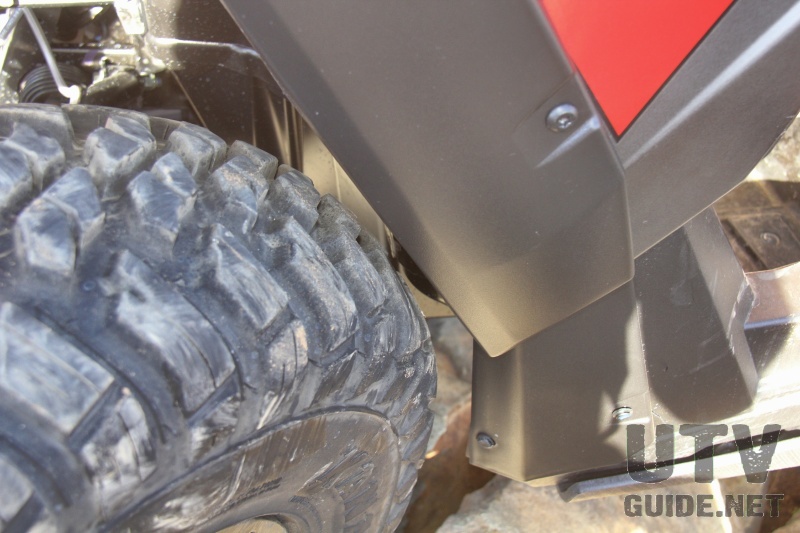 One thing I did notice at the media event was the 50 inch RZR 900 fender flares had a much smaller foot print and would bolt right up to a RZR S 900. I ordered a set from Placerville Polaris and got them installed. Since I am not so worried about driving in the mud, the extra width of the RZR S 900 wasn’t needed. The rear flares don’t drop down and back as far as the stock flares, I gained quite a bit of clearance. The other benefit is the body is tucked in nice and close so damaging them while clipping a rock isn’t a concern. Other than the changes I made, I was a bit concerned about low range on the RZR S 900. 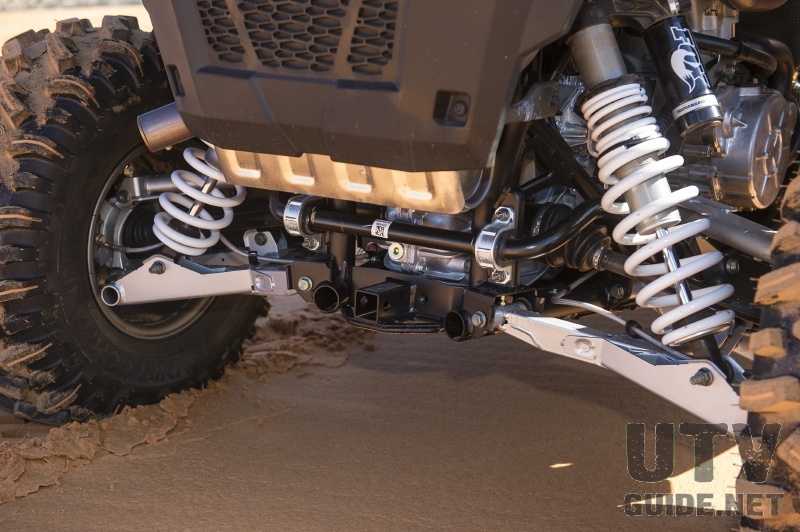 Polaris had made a fundamental change to low range with the RZR 900. 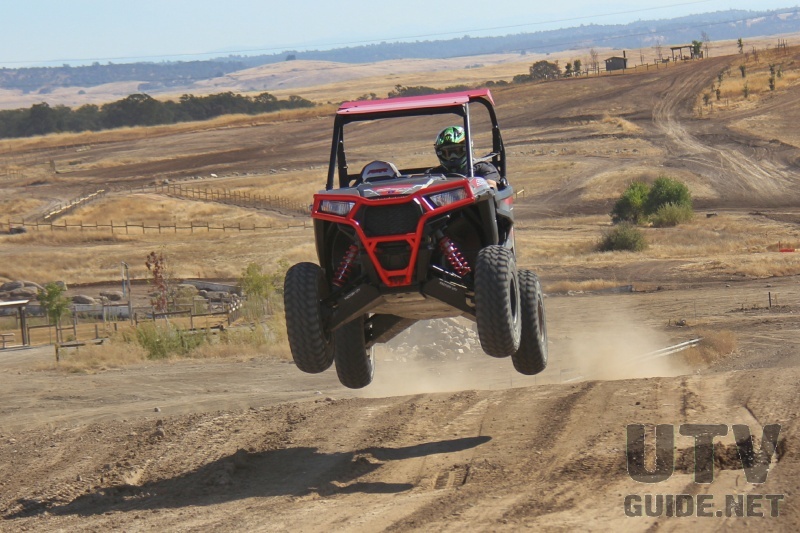 Most of the RZR users don’t do extreme rock crawling where it is good to have a lower low range gear for super slow speed maneuvering. Polaris decided to make low range higher on the new RZR 900s. 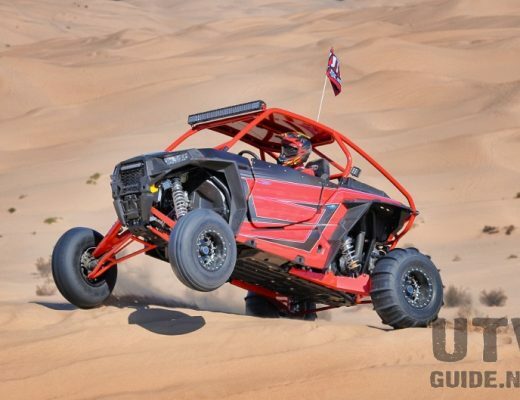 Where the RZR 800 would top out in the 25 mph range, the new RZR 900 could reach over 40 mph. I completely understand that for the majority of users, this makes low range much more usable, but for a rock crawler, lower is better. With the underside protected and 30-inch tires looking like they may work, I headed to Prairie City SVRA for a test session with my friend Paul Hart. This test location has some good rock sections and also a high speed short-course track where we could get some air and hit some g-outs at speed to check for tire interference. We hit the rocks first. The first thing we noticed was the shocks were too soft in the stock middle-of-the-road setting. 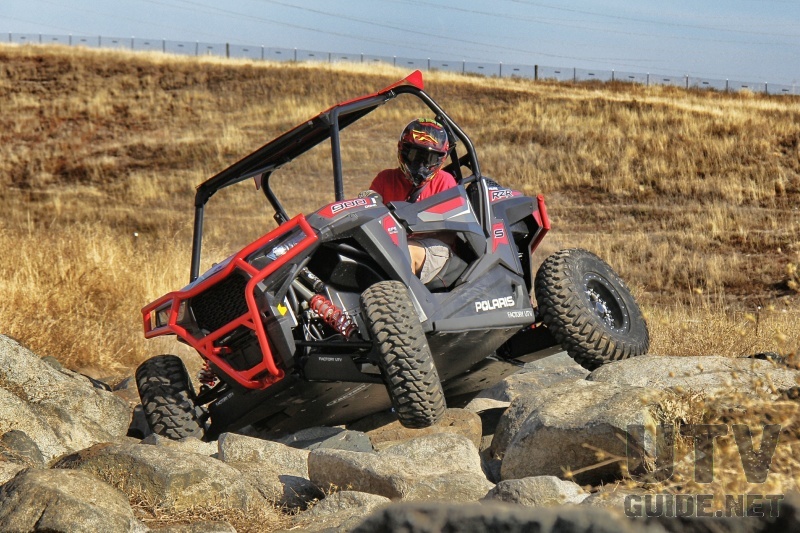 The RZR would blow right through the travel and bounce down on a rock pretty easy. We adjusted the compression setting on the FOX Podium shocks and it made a big difference. We did find that the clutch engaged around 1750 RPM and we didn’t have as much torque a slow speeds as we would have liked, but for a stock machine running larger tires, it was hard to complain too much. I put the RZR into some pretty silly predicaments just to get a good feel for the car, and never once smelled the CVT belt. Sure I would prefer a lower gear, but the RZR did everything I asked of it and with a little clutch tuning, I think we can live with the higher low range gearing. Power steering was really nice and I could really feel how much shorter (79″ vs. 90″ wheelbase) and lighter (1,208 lbs. 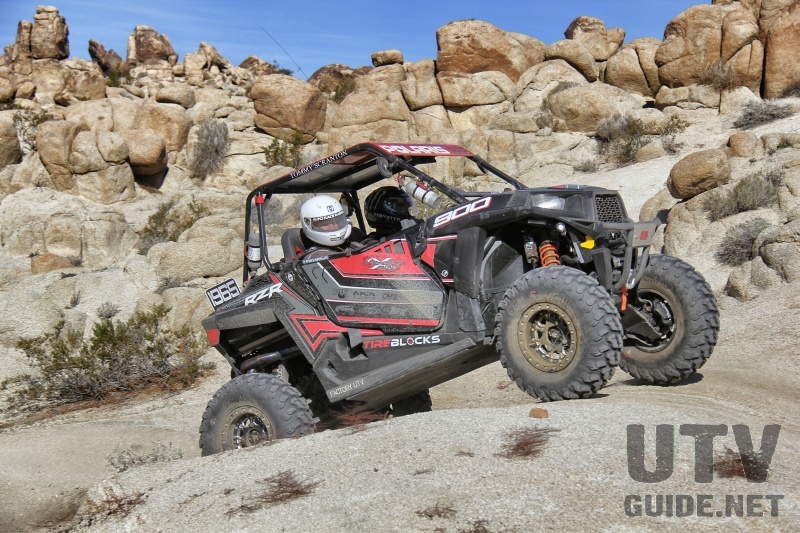 vs. 1,379 lbs dry weight) the RZR S is when stacked up against the RZR XP 1000. After spending some time in the rocks it was time to hit the short-course track at Prairie City SVRA. This track is used for VORRA and Nor Cal Rock Racing and has some good sections to jump, corner and hit g-outs. We hit the track to see if we could get the tires to hit under high speed events. We hit the jump at the start/finish line pretty hard and did not feel or see any tire interference. Same for g-outs and high speed cornering. After spending the day at Prairie City I am very happy with how the new RZR S 900 performed. From my time at the Polaris media event I knew that it was a big improvement over the RZR S 800 for trail use and now I have confirmed that it is quite a rock crawler as well. I am really excited that 30″ tires will work in almost all circumstances and although I would prefer a lower low range gear ratio, I think I can live with it after some clutch adjustments. Long travel suspension without making the vehicle too wide. A more narrow vehicle can fit into spots that a wider vehicle cannot. 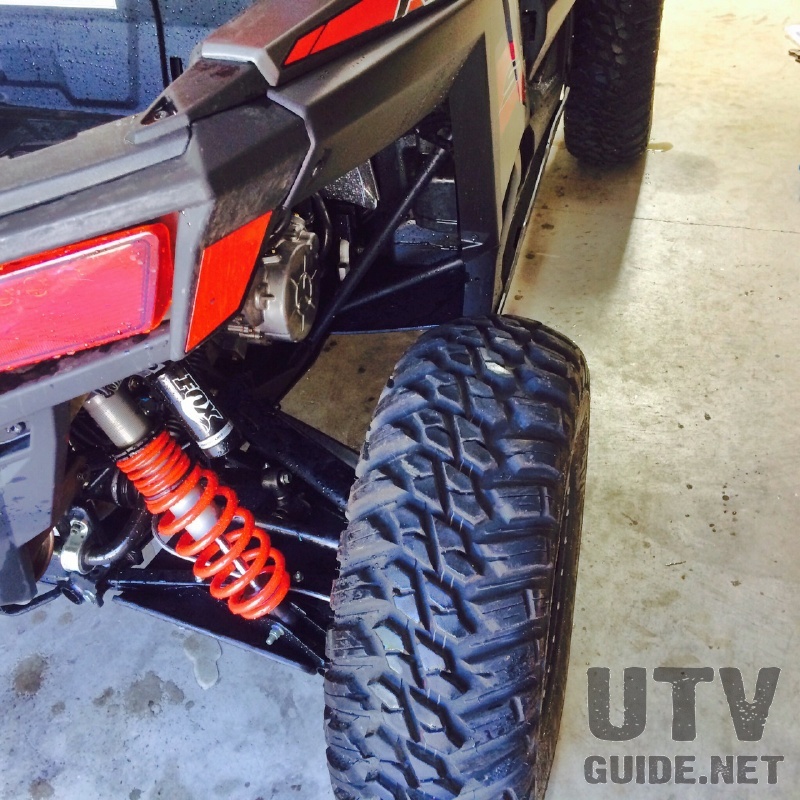 This is very trail dependent, but in general I prefer the 60″ wide RZR S to the 64″ wide RZR XP 1000. A-arm suspension front and rear. Trailing arms in the rear have a disadvantage in the rocks because the arm often hits a rock before the tire can start climbing. Approach angle on the rear of a UTV is much better with a-arms. Shorter wheelbase helps with turning radius. 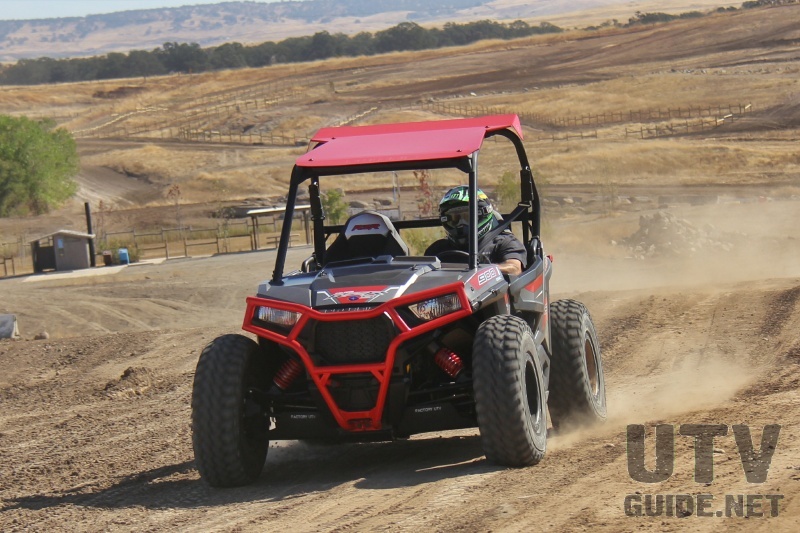 The RZR S is about 11-inches than the RZR XP 1000 and that translates to a tighter turning radius and a more nimble vehicle. Shorter wheelbase can be worse on some trails with waterfall type obstacles, but in general I think the 79″ RZR S 900 wheelbase is a happy medium. Light weight. The RZR S 900 is over 150 lbs. 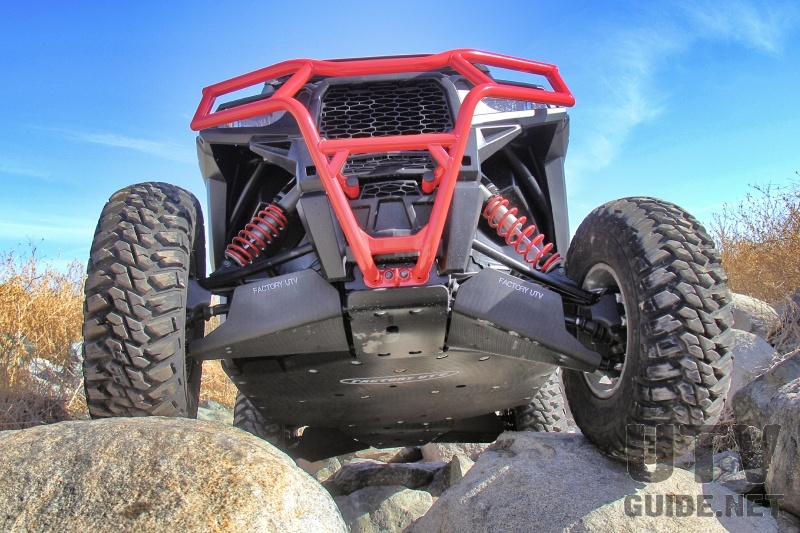 lighter than the RZR XP 1000 and this helps it dance through the rocks. I am now turning my attention to the 2015 King of the Hammers UTV race. 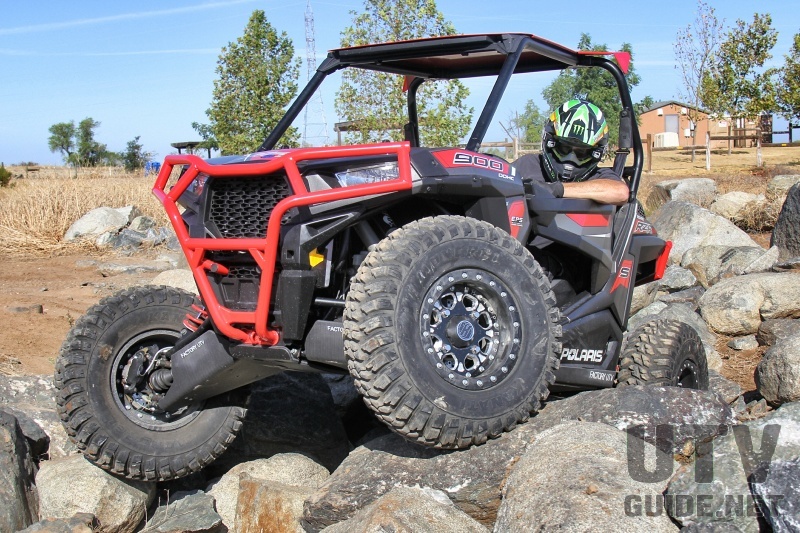 I think the RZR S 900 would be a great choice in the rocks. The downside is the RZR XP 1000 is a better desert machine so I would have to deal with passing more vehicles after the desert section in the RZR S 900. But I think it would be fun to do something different than everyone else, and I may just pull the trigger and race the RZR S 900 instead of a RZR XP 1000. Stand by! Polaris is a recognized leader in the powersports industry with annual 2013 sales of $3.8 billion. 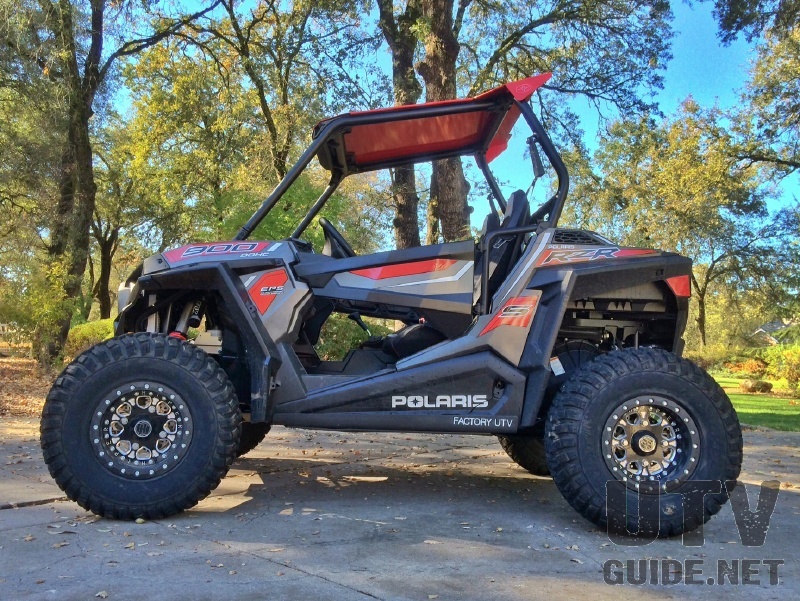 Polaris designs, engineers, manufactures and markets innovative, high quality off-road vehicles, including all-terrain vehicles (ATVs) and the Polaris RANGER® and RZR side-by-side vehicles, snowmobiles, motorcycles and on-road electric/hybrid powered vehicles.